Under Armour mirage shoes are more of a rough and durable shoe used for trails or even tactical use, compared to your average athletic shoe, although there are some marketed as a running shoe. These shoes, while still available on the market, are not sold directly from Under Armour. You can find them from a number of other online shoe stores and market websites, which also assists with comparing price options and online availability. While they may be titled differently from one website to the next, there are two primary shoes, the tactical / trail shoe that can be also considered a trail running shoe, and then the standard athletic/ running shoe. The tactical / trail shoes are available in all black. With this color, you can actually wear the shoes with just about anything and still be in style. The athletic / running shoes are available in a taupe / grey type of color, with some highlights in bright orange. The sole on each of these models looks very rugged and durable. These shoes are made to last. The tactical / trail Under Armour mirage shoes are actually sold on police supply websites, indicating it’s a durable shoe that works great for cops that have to hit the street every day. 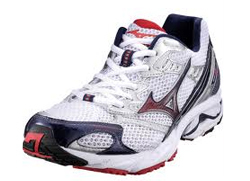 They are built for runners with flexible, yet medium sized arches, with just a bit of overpronation. It is considered the lightest weight of Under Armour’s trail running shoes, created for steadiness and cushioning on the unstable ground. Some notable features to these mirage shoes are the ArmourLastic, which helps to absorb the shock and impact of street and trail running; ArmourGuide, which helps level out the impact across the foot; and ArmourBound, which helps maximize the cushions response. Additionally, it has ventilated internal FootSleeve technology, 6mm of Cartilage, and a reinforced toe-cap. The mirage athletic / running shoe is not just a running shoe. It is also built with some durability and quality in mind. The heel shocks look very modern too, creating a very stylish look. These additionally use the ArmourLastic, ArmourGuide, and ArmourBound just like the tactical / trail shoes. These shoes will stand the true test of your athletic running abilities, assisting with your stabilization and providing the optimum cushioning for that road ride. Whether you are looking for the tactical Under Armour mirage shoes or the athtetic ones, you will find a variety of reviews to help you understand their capabilities. This will also help you determine if these are the right shoes for your needs. They are comparable in price and are just as affordable as the next trail shoes.